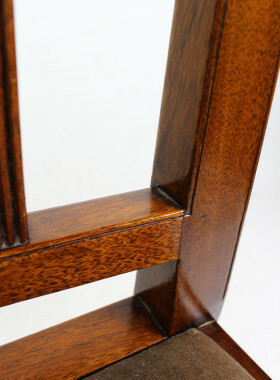 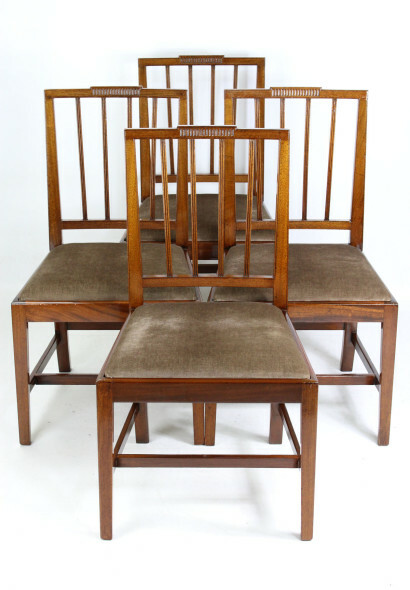 A good quality set of 4 antique Georgian dining chairs in mahogany dating from the early 19th century. 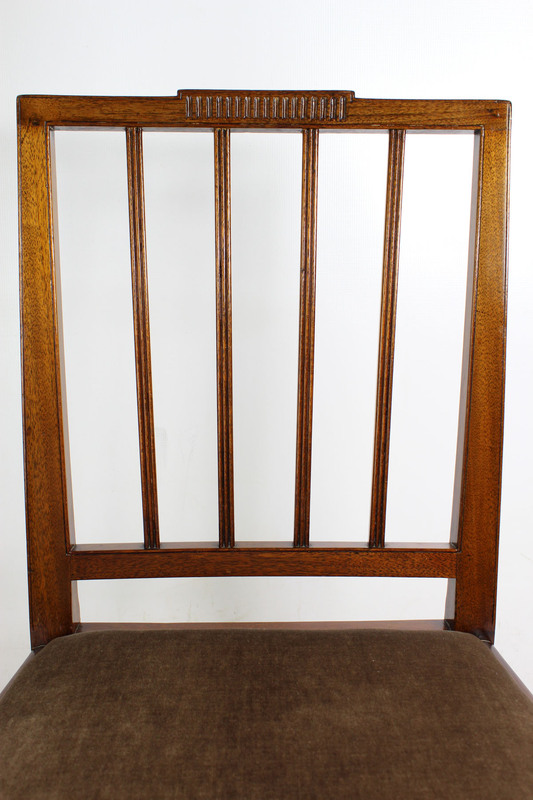 A good quality set of 4 antique Georgian dining chairs in mahogany dating from the early 19th century. 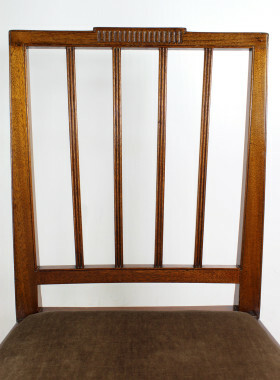 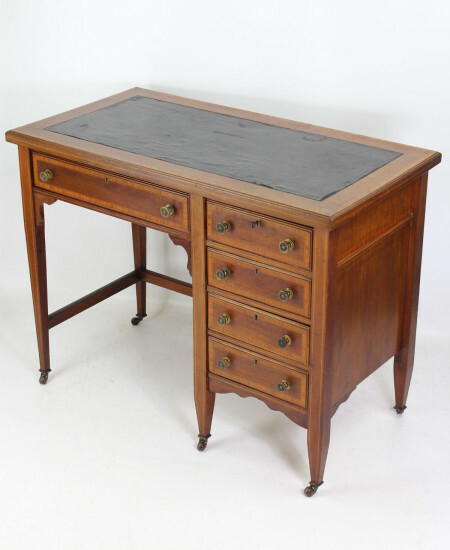 With stepped and carved oblong top rails above reeded centre rails, standing on tapered legs united by cross stretchers. 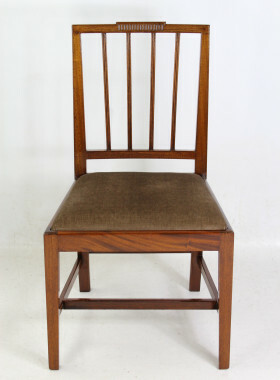 The drop-in seats have been newly recently reupholstered. 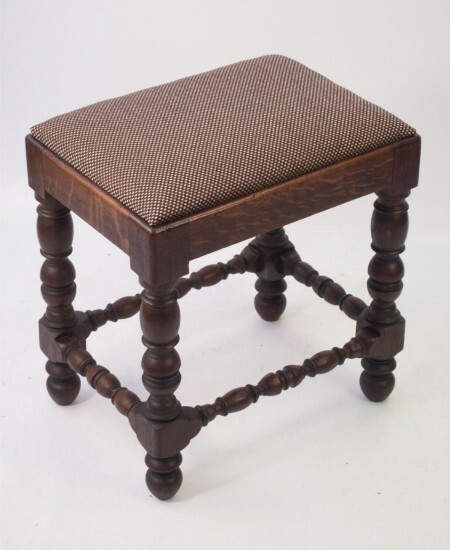 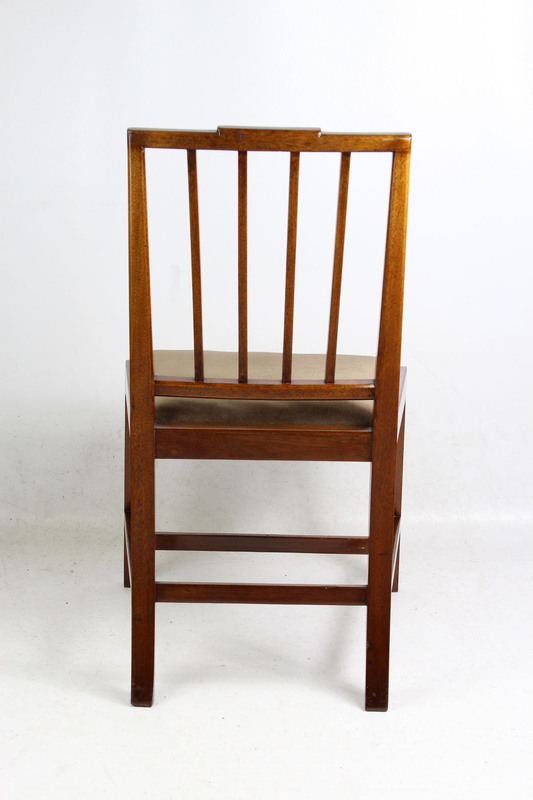 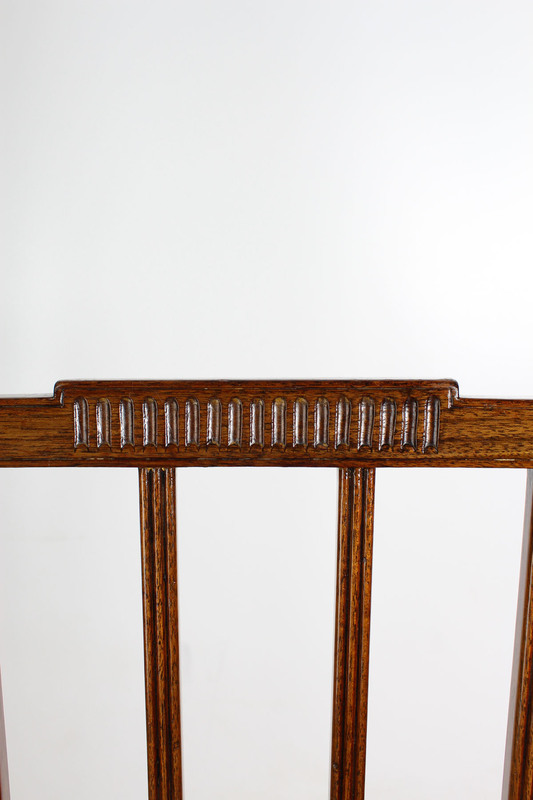 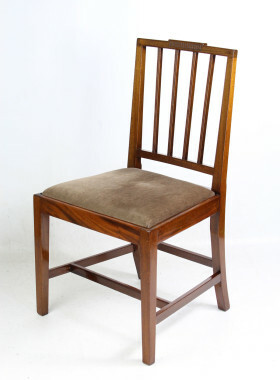 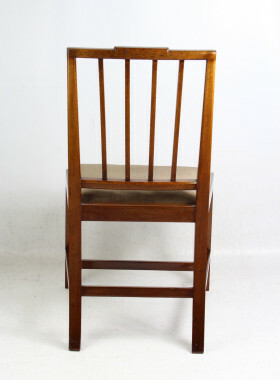 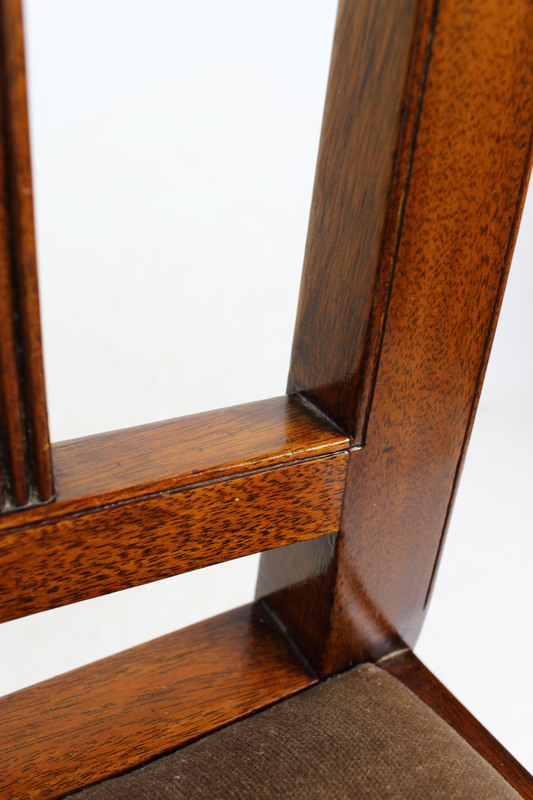 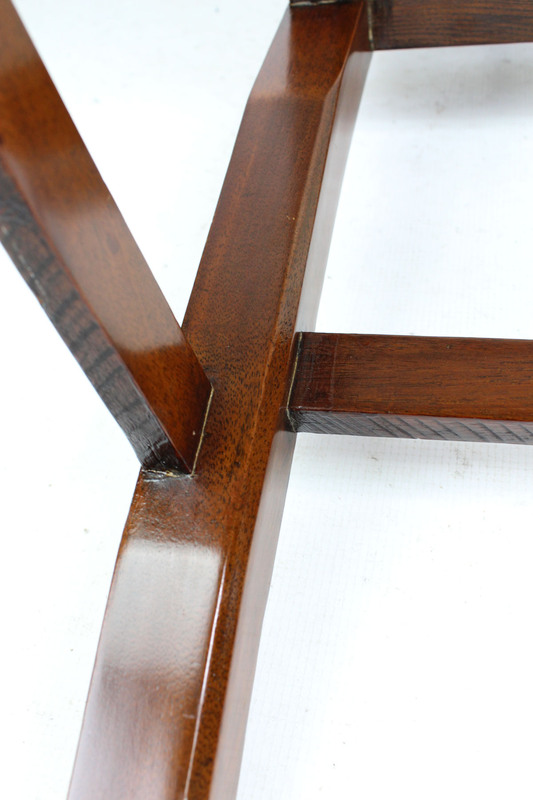 Solid and sturdy, these chairs have been recently restored and refinished. 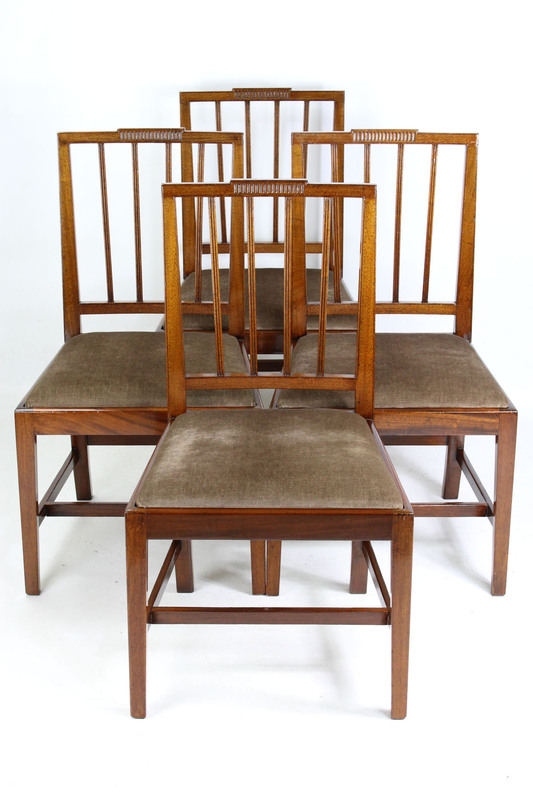 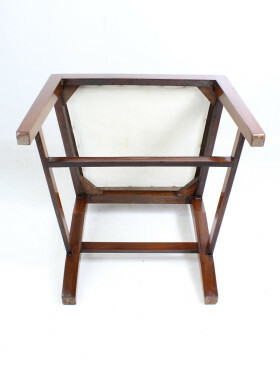 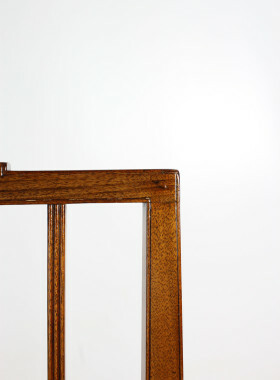 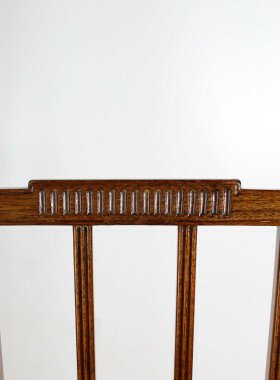 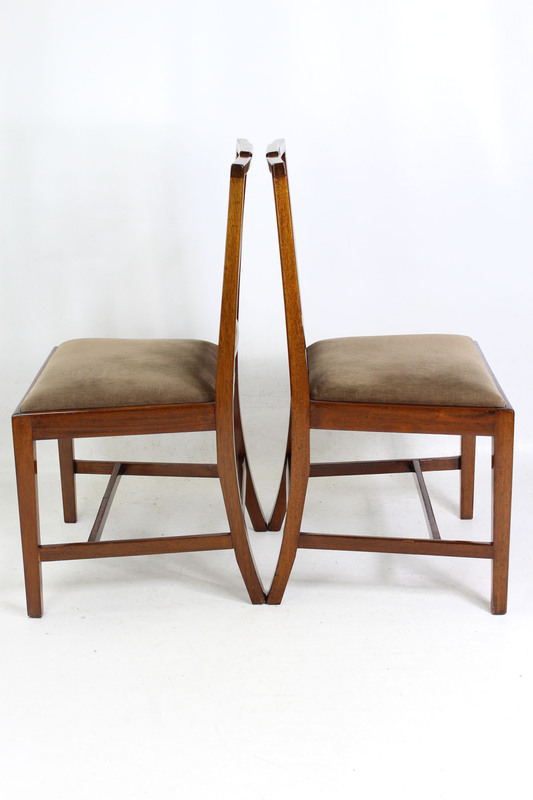 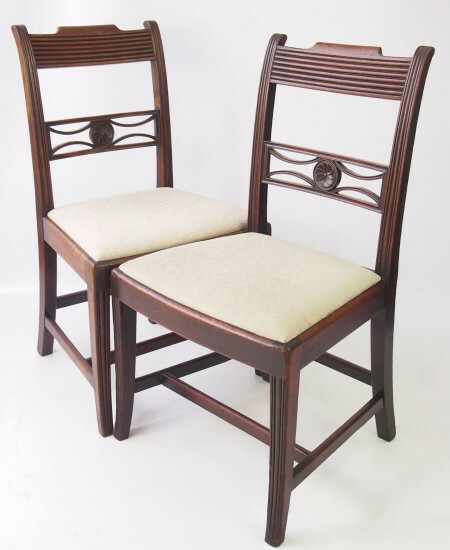 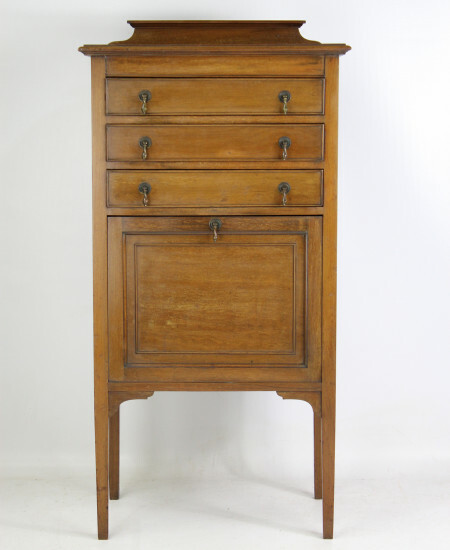 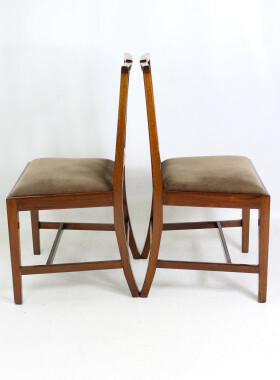 Would make a very elegant set of antique dining chairs. 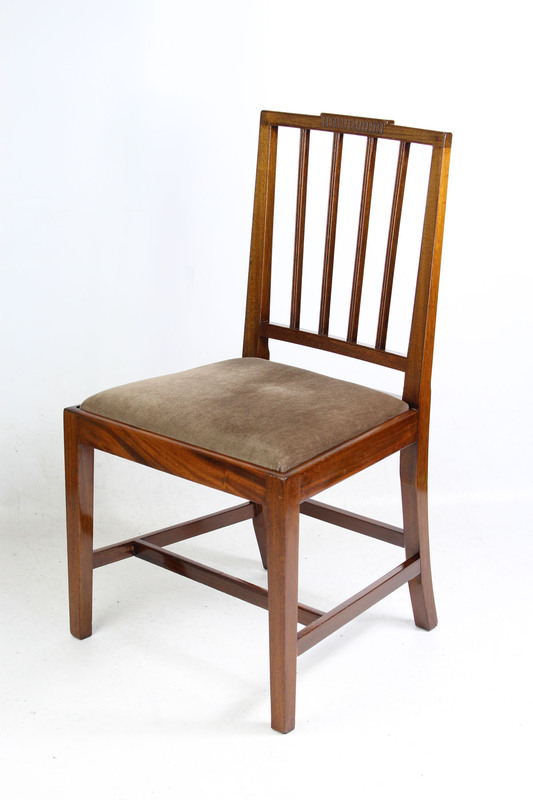 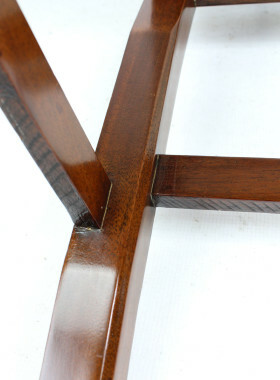 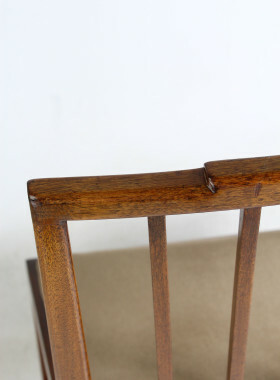 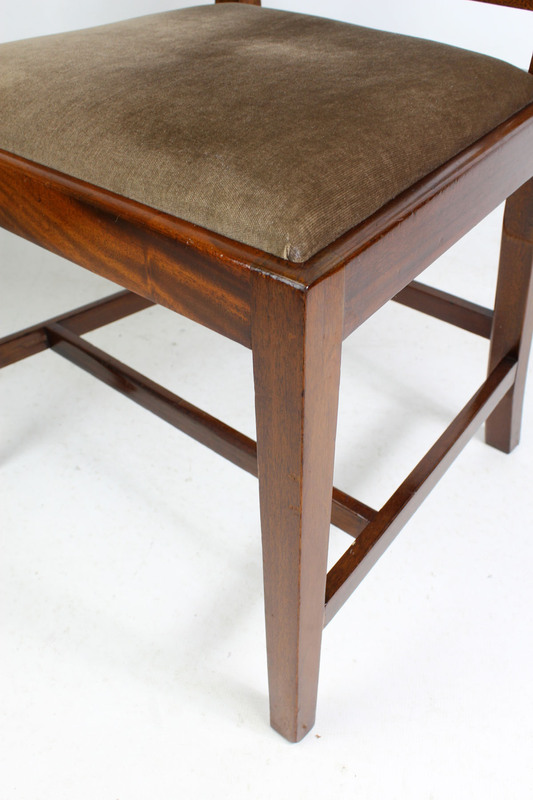 Solid and sturdy, these chairs have been newly restored and refinished. Wear and marks commensurate with age. 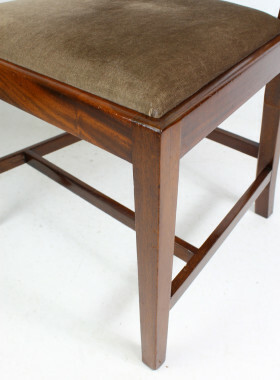 Recently reupholstered.